FILE PHOTO: U.S. Senator Bernie Sanders speaks during a news conference on Yemen resolution on Capitol Hill in Washington, U.S., January 30, 2019. The Democratic Socialists of America (DSA) have yet to publicly endorse Vermont Sen. Bernie Sanders, but for months they have been laying the groundwork to campaign for Sanders, and only Sanders, in the Democratic primary, planning documents obtained by The Daily Caller News Foundation show. The DSA played a key role in helping left-wing Democratic candidates, like fellow DSA member New York Rep. Alexandria Ocasio-Cortez, topple establishment Democrats in 2018 primary races. DSA leaders are looking to replicate that success at the national level. Three planning documents that were circulated among DSA members in January, before Sanders’s Feb. 19 announcement, lay out the DSA’s two primary goals for 2020: do everything possible to help Sanders win while using his campaign to legitimize the democratic socialist movement within American politics. The documents are included in full at the bottom of this article. The DSA has yet to formally endorse Sanders. The national planning committee has a vote scheduled for March 21, but the planning memos treat the endorsement as a foregone conclusion. The DSA won’t consider endorsing any “other candidate in the Democratic primaries,” according to a January 2019 exploratory report, which notes that the DSA began laying the groundwork to support Sanders’s campaign well ahead of its launch. “If DSA is to play an important role in Sanders’s campaign — both growing DSA as a serious, independent, socialist pole in the broader Sanders movement, and helping Sanders win the Democratic Party primary and go on to defeat Trump in the general election — then it is essential that DSA get involved in this campaign as early as possible,” the report states. “This will primarily happen through facilitating the growth of DSA chapters, training and support of chapter activists, systematization and possibly centralization of key operations including data and fundraising,” the document continues. DSA leaders plan to use Sanders’s campaign as a means of growing their numbers, much as they did during the 2016 primary. “DSA has grown about 11 times over since 2015, from 5,000 members to 55,000,” the memo states, attributing the DSA’s support for Sanders in 2016 as a primary cause of that growth. The DSA plans to repurpose its Medicare for All campaign towards helping Sanders win the primary, according to another memo, which was prepared by the DSA’s Medicare for All steering committee. “In many DSA chapters, the Medicare for All campaign or Health Justice Working Group represents the best springboard for Bernie 2020 work: these chapters have been involved in mass outreach and canvassing work around a proposal closely associated with Sanders’ name,” the memo continues. Steering union members towards Sanders and away from establishment Democrats is a key objective of that campaign. “We need to agitate for Sanders among rank-and-file members in the hopes of building DSA’s ties to those members and pushing more unions to support Sanders this time around,” the memo continues. DSA spokesman Lawrence Dreyfuss didn’t return an interview request. If Sanders doesn’t win the primary, the DSA may back a third-party candidate instead of the Democratic nominee. 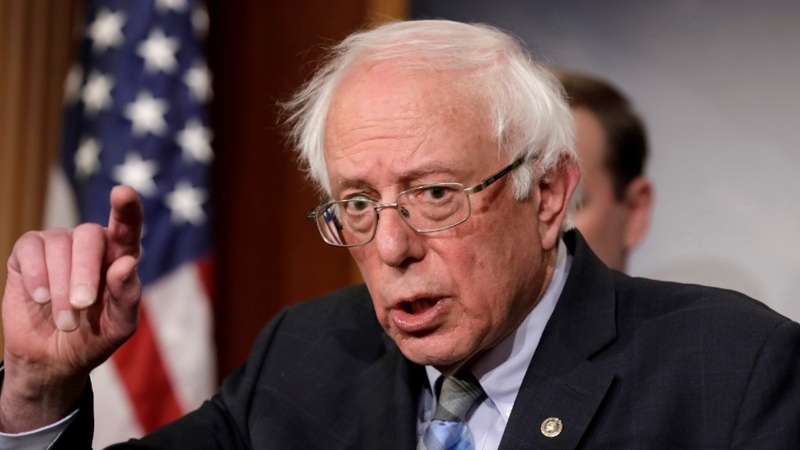 “If Bernie Sanders is not the Democratic Party nominee, there will likely be very heated debates among DSA members about whether or not to back a different Democratic nominee, or an independent candidate, against Trump,” the January committee report noted.